The new version of reCAPTCHA is very secure with attractive layout. With the help of new version users can attest as they are human without inputting blurry numbers or solving problems. 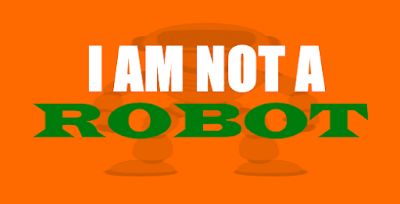 With just a single click Google’s reCPATCH will confirm you are not a robot. 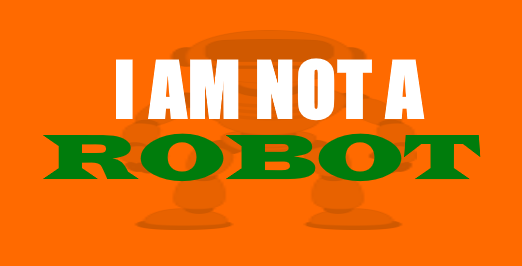 This new version also called as No CAPTCHA reCPATCHA. The first step to integrate the Google’s reCAPTCHA is to register your website domain. Go to the below website link and click on Get reCAPTCHA button. Input your application name in label field, your website domain name under Domains field and click on ‘Register’ button. Note: If you want to test reCAPTCHA in your local machine, just add localhost in Domains field. Upon successful registration you will get Site Key and Secret Key as shown below. Site Key: It is used to display reCAPTCHA widget in your site. Secret Key: It is used to verify whether the user response to reCAPTCHA is valid or not. The next is display the reCAPTCHA widget on your site. We will see this step practically by having a login screen and verify reCAPTCHA before user login. Copy and paste the below script reference before closing </head> tag. 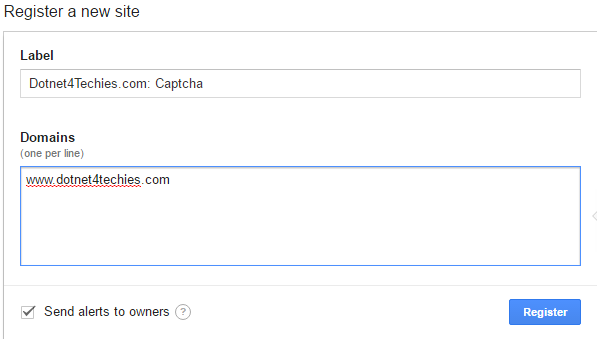 Copy and paste the below snippet before closing the </form> tag where you want to appear the reCAPTCHA widget. When you submit a form which includes the reCAPTCHA, you will get a response in a variable called g-recaptcha-response. To confirm whether user has been verified with reCAPTCHA, you need to send a GET call to below URL by including your secret key, response from g-recaptcha-response variable and user IP address. Here is the code on how to verify the user response to reCAPTCHA upon clicking login button. That’s it. Hope you understand the Google’s reCAPTCHA integration process. The given implementation is not only specific to ASP.NET, the same you can convert into any other language app as per your need. I have used this code but it keeps crashing on the when getting the URL ValidateReCaptcha(ref string errorMessage) method with "Input string was not in a correct format" error message. Is there something i am missing? How to compare database schema and data?